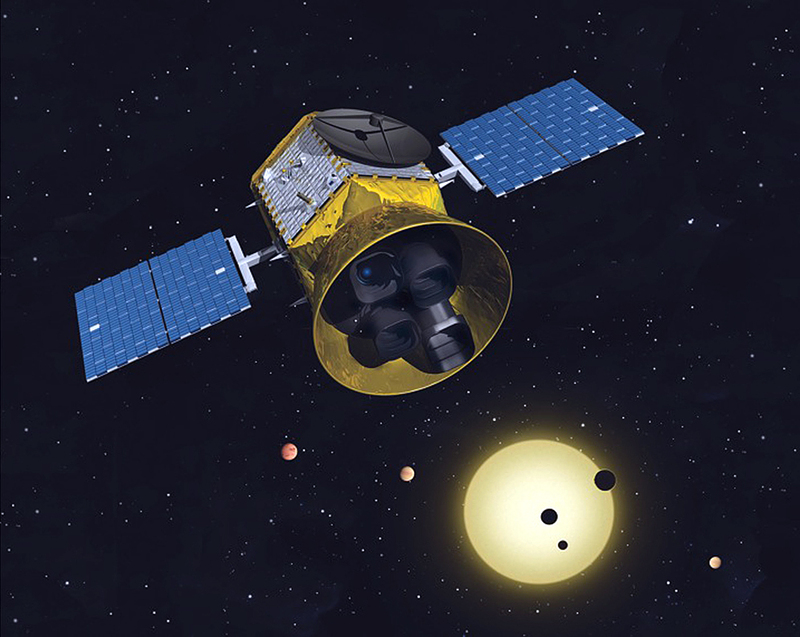 On April 18th, 2018, NASA deployed the Transiting Exoplanet Survey Satellite (TESS), a next-generation exoplanet hunting telescope that is expected to find thousands of planets in the coming years. Alongside other next-generation telescopes like the James Webb Space Telescope (JWST), TESS will effectively pick up where space telescopes like Hubble and Kepler left off. The mission recently started science operations (on July 25th, 2018) and is expected to transmit its first collection of data back to Earth this month. But before that, the planet-hunting telescope took a series of images that featured a recently-discovered comet known as C/2018 N1. These images helped demonstrate the satellite’s ability to collect images over a broad region of the sky – which will be critical when it comes to finding exoplanets. As the name would suggest, the TESS mission is designed to search for planets around distant stars using the Transit Method (aka. Transit Photometry). 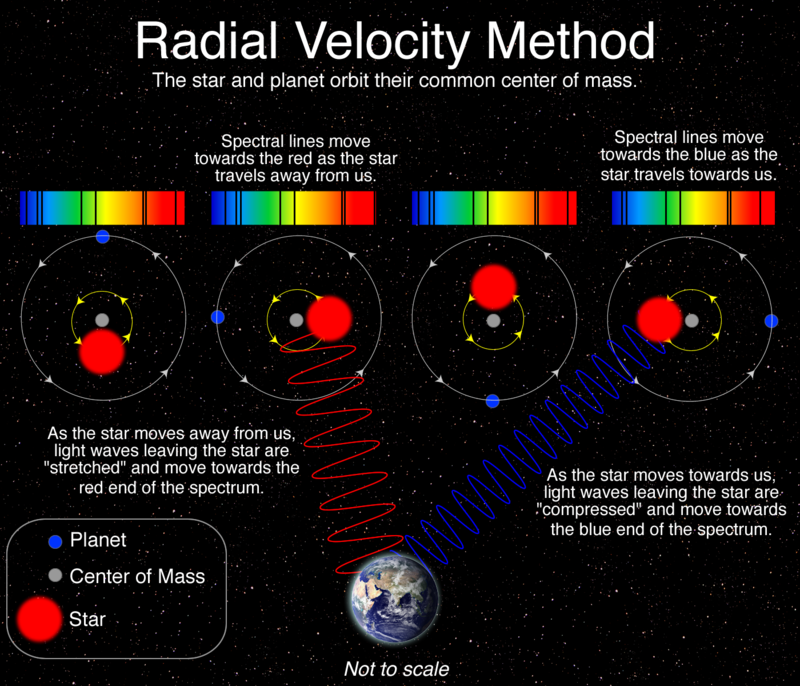 For this method, distant stars are monitored for periodic dips in brightness, which are indications that a planet is passing in front of the star (aka. transiting) relative to the observer. From these dips, astronomers are able to estimate a planet’s size and orbital period. This method remains the most effective and popular means for finding exoplanets, accounting for 2,951 of the 3,774 confirmed discoveries made to date. To test its instruments before it began science operations, TESS took images of C/2018 N1 over a short period near the end of the mission’s commissioning phase – which occurred over the course of 17 hours on July 25th. The comet that it managed to capture, C/2018 N1, was discovered by NASA’s Near-Earth Object Wide-field Infrared Survey Explorer (NEOWISE) satellite on June 29th. This comet is located about 48 million km (29 million mi) from Earth in the southern constellation Piscis Austrinus. In these pictures, which were compiled into a video (shown below), the comet is seen as a bright dot against a background of stars and other objects. As it moves across the frame (from right to left), the comet’s tail can be seen extending to the top of the frame, and gradually changes direction as the comet glides across the field of view. The images also reveal a considerable amount of astronomical activity in the background. For instance, image processing causes the stars to shift between white and black, which highlights some variable stars visible in the images. These are stars that change brightness as a result of pulsation, rapid rotation, or being eclipsed by a binary neighbor. A number of Solar System asteroids are also visible as small white dots moving across the field of view. Last, but not least, some stray light that was reflected from Mars is also visible near the end of the video. This light appears as a faint broad arc that moves across the middle section of the frame, from left to right. This effect was due to the fact that Mars was at its brightest at the time since it was near opposition (i.e. at the closest point in its orbit to Earth). These images showcase the capabilities of the TESS mission, even though they only show a fraction of the instrument’s active field of view. In the coming weeks and months, TESS science team will continue to fine-tune the spacecraft’s performance as it searches for extra-solar planets. As noted, it is expected that TESS will find thousands of planets in our galaxy, vastly increasing our knowledge of exoplanets and the kinds of worlds that exist beyond our Solar System! 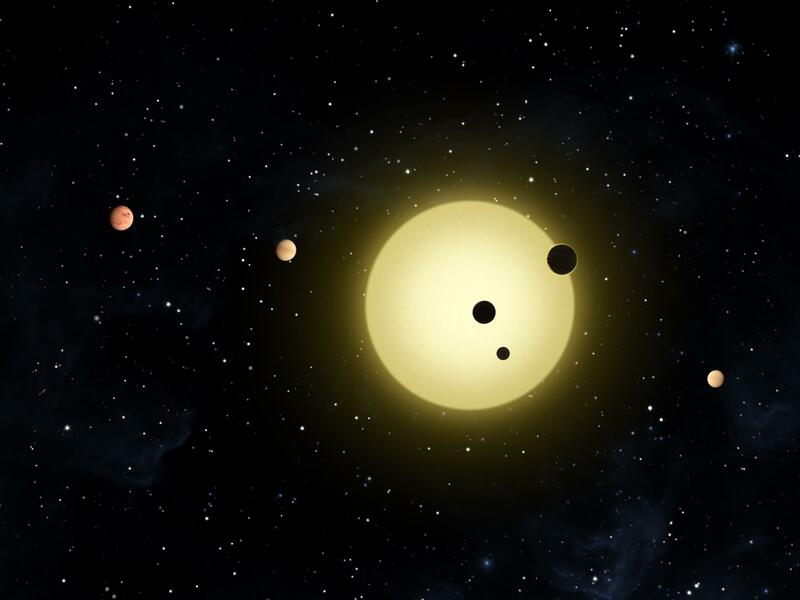 The study of exoplanets has advanced by leaps and bounds in the past few decades. Between ground-based observatories and spacecraft like the Kepler mission, a total of 3,726 exoplanets have been confirmed in 2,792 systems, with 622 systems having more than one planet (as of Jan. 1st, 2018). And in the coming years, scientists expect that many more discoveries will be possible thanks to the deployment of next-generation missions. These include NASA’s James Webb Space Telescope (JWST) and several next-generation ground based observatories. With their advanced instruments, these and other observatories are not only expected to find many more exoplanets, but to reveal new and fascinating things about them. For instance, a recent study from Columbia University indicated that it will be possible, using the Transit Method, to study surface elevations on exoplanets. The study, which recently appeared online under the title “Finding Mountains with Molehills: The Detectability of Exotopography“, was conducted by Moiya McTier and David Kipping – and graduate student and an Assistant Professor of Astronomy at Columbia University, respectively. Based on models they created using bodies in our Solar System, the team considered whether transit surveys might be able to reveal topographical data on exoplanets. To recap, the Transit Method (aka. Transit Photometry) is currently the most popular and reliable means for detecting exoplanets. It consists of astronomers measuring the light curve of distant stars over time and looking for periodic dips in brightness. These dips are the result of exoplanets passing in front of the star (i.e. transiting) relative to the observer. By measuring the rate at which the star’s light dips, and the period with which the dimming occurs, astronomer are not only able to determine the presence of exoplanets, but also place accurate constraints on their size and orbital periods. According to McTier and Kipping, this same method could also reveal the presence of geographical features – for instance, mountain ranges, volcanoes, trenches, and craters. In other words, as a planet transits in front of its host star, the light passing around the planet itself could be measured for small variations. These could indicate the presence of mountain ranges and other large-scale features like massive chasms. To test this theory, they considered planets in the Solar System as templates for how the scattering of light during a transit could reveal large-scale features. Ultimately, they consider that Mars would be the ideal test case due to its combination of small size, low surface gravity, and active internal volcanism, which has caused it become what they describe as the “bumpiest body in the Solar System”. When paired with a white dwarf star, this presents the optimal case for using light curves to determine exotopography. At a distance of about 0.01 AU (which would be within a white dwarf’s habitable zone), they calculate that a Mars-sized planet would have an orbital period of 11.3 hours. This would allow for many transits to be observed in a relatively short viewing period, thus ensuring a greater degree of accuracy. At the same time, the team admits that their proposed methods suffers from drawbacks. For instance, due to the presence of astrophysical and instrumental noise, they determined that their method would be unproductive when it comes to studying exoplanets around Sun-like stars and M-type (red dwarf) stars. But for Mars-like planets orbiting low mass, white dwarf stars, the method could produce some highly valuable scientific returns. In short, planets with a high degree of bumpiness would indicate tectonic activity or the buildup of lava caused by internal heating sources. Those with the highest bumpiness (i.e. like Mars) would indicate that they too experience a combination internal processes, low surface gravity, volcanism, and a lack of tectonic plate movement. Meanwhile, low-bumpiness planets are less likely to have any of these internal processes and their surfaces are more likely to be shaped by external factors – like asteroid bombardment. Based on their estimates, they conclude that the various super telescopes that are scheduled to be commissioned in the coming years would be up to task. These include the ESO’s OverWhelmingly Large (OWL) Telescope, a 100-meter proposed optical and near-infrared telescope that would build on the success of the Very Large Telescope (VLT) and the upcoming Extremely Large Telescope (ELT). Another example is the Colossus Telescope, a 74-meter optical and infrared telescope that is currently being commissioned by an international consortium. Once operational, it will be the largest telescope optimized for detecting extrasolar life and extraterrestrial civilizations. In the past, the success of exoplanet hunters has come down to a combination of factors. In addition to greater levels of cooperation between institutions, amateur astronomers and citizen scientists, there has also been the way in which improved technology has coincided with new theoretical models. As more data become available, scientists are able to produce more educated estimates on what we might be able to learn once new instruments come online. When the next-generation telescopes take to space or are finished construction here on Earth, we can anticipate that thousands more exoplanets will be found. At the same time, we can anticipate that important details will be also discovered about these planets that were not possible before. Do they have atmospheres? Do they have oceans? Do they have mountain ranges and chasms? We hope to find out!